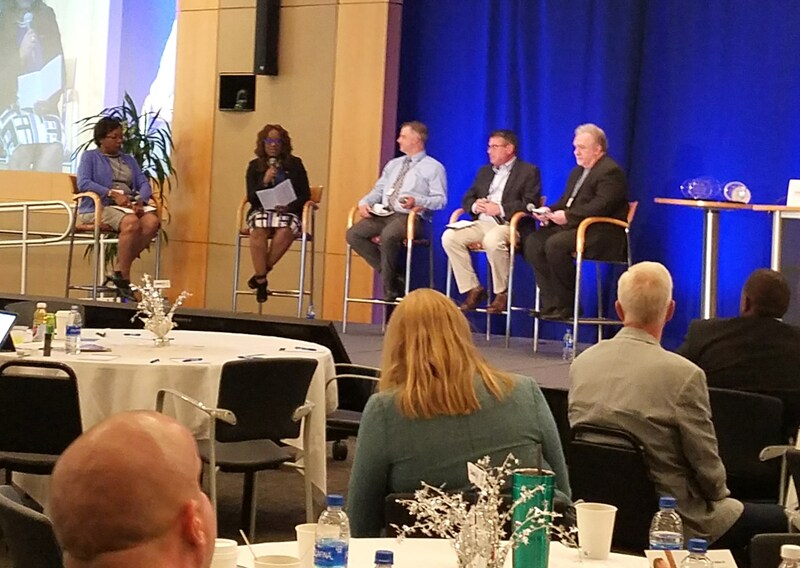 MetLife and MetLife Diverse Abilities network are the hosts of the Disability:IN North Carolina 2019 Thought Leaders Luncheon. The luncheon in honor of national Mental Health Awareness month will be held on May 16, at the MetLife Technology Center at 201 MetLife Way in Cary NC. Join us to learn about how MetLife’s commitment to diversity and inclusion is fostering work-life balance and mental health awareness in the workplace. Our keynote speaker for the 2019 Thought Leaders Luncheon is Kevin Rumley a service-disabled veteran of the Marine Corps who was injured in Iraq. Kevin was awarded a Purple Heart for his service to our country. 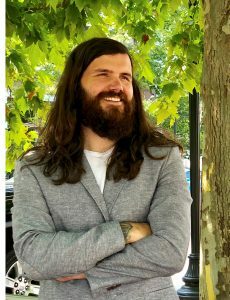 Kevin is the Veterans Treatment Court Coordinator for Buncombe County and is also a person in long-term-recovery and a vocal advocate for harm reduction modalities. A panel of community experts and business leaders will follow Kevin's keynote to discuss how employers across the state can support mental health wellness in the workforce. Participants who register before April 8, 2019 will receive a 15% discount on tickets for the luncheon. Member Discounts:* Members of Disability:IN North Carolina will receive a discount on registration fees. Corporate Sponsor Complimentary Tickets:* Corporate sponsors at the bronze, silver, gold or platinum levels will receive set numbers of complimentary tickets to this event. *(Contact Beth Butler at beth@disabilityin.org to request the membership code for discounts and for sponsorship codes for complimentary tickets). Please note: Due to security requirements registration will close at 5pm on May 8 and on-site registration will not be offered. Thanks to TIAA for Hosting the 2018 Disability:IN North Carolina Fall Conference! Disability:IN North Carolina holds an annual conference in October to honor National Disability Employment Awareness Month. TIAA hosted our 2018 Fall Conference on October 4, 2018 in Charlotte, NC for a audience of over 80 business representatives. The Disability:IN Fall Conference is also a great networking opportunity for job seekers with disabilities, employment service agencies, and advocates for disability inclusion. In 2018 Wells Fargo, Bank of America, and EY joined our host TIAA as conference sponsors. Plans are underway for the 2019 Fall Conference. Visit our Contact page or call Beth Butler at 980-422-5544 to become a sponsor. Disability:IN North Carolina hosts Thought Leader Luncheons to recognize National Mental Health Awareness Month. Thought Leader Luncheons are targeted, half-day events that are hosted across the state to raise awareness, expand disability inclusion and reduce stigma. In 2018, Brian Clark, J.D. brought his compelling narrative on reducing the stigma of mental illness to Thought Leader Luncheons held in Raleigh on May 17, Charlotte on June 14 and Asheville on August 9, 2018. Event sponsors included Alliance Behavioral Healthcare, Asheville Buncombe County Technical Community College, MetLife, Triangle Industry Liaison Group, Partners Behavioral Healthcare Management and Vaya Health. Disability:IN North Carolina is already planning for our 2019 Thought Leader Luncheon Series. Visit our Contact page or call Beth Butler at 980-4455 to become a sponsor. In addition to our events and conferences, Disability:IN North Carolina has developed several signature programs to expand disability employment inclusion. We also promote programs developed by our parent organization, Disability: IN. NC Ready2Hire (NCR2H): NCR2H provides consulting services designed to improve disability hiring and retention and comply with federal regulations. Through our NCR2H program, Disability:IN North Carolina partners with your business to customize a disability inclusion strategy for successful recruitment, selection and hiring practices. For more information on Ready2Hire visit our Contact Us Page or call 980-422-5544. The Disability:IN North Carolina / CommunAbility mentoring program matches business mentors to students or young adults with disabilities for mentoring sessions that take place throughout their senior year in high school, technical training, college or university. To learn more about CommunAbility Mentoring visit our Contact Us Page or call 980-422-5544.